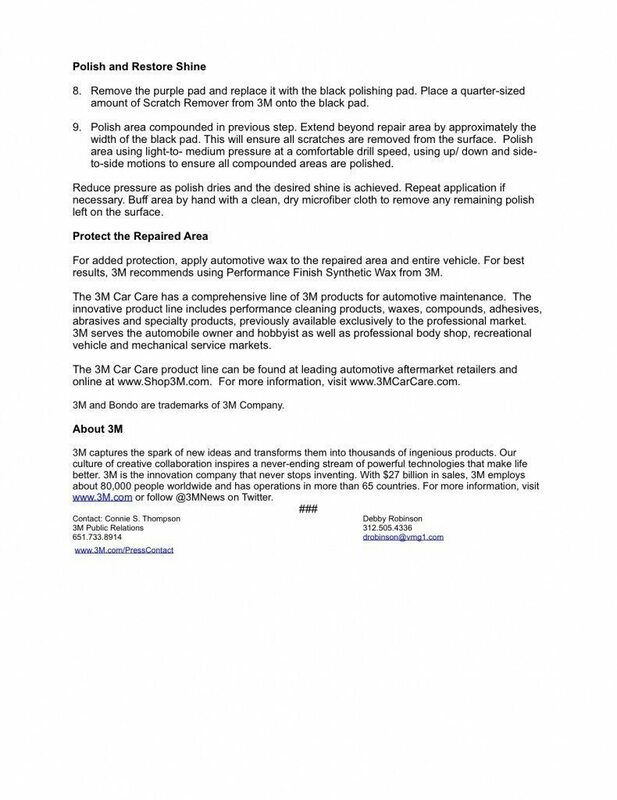 I recently visited the 3M headquarters and had the opportunity to see many of the 3M auto products being used in their lab. 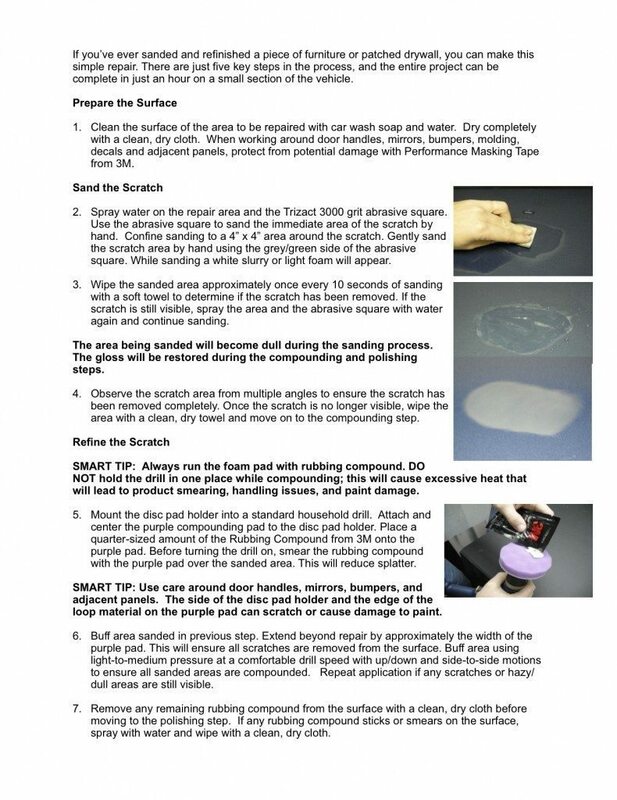 I found the 3M scratch repair is easy to use and is designed for individuals to do at their home. Watch the video and read the step by step instructions to learn how easy this system is to use yourself. 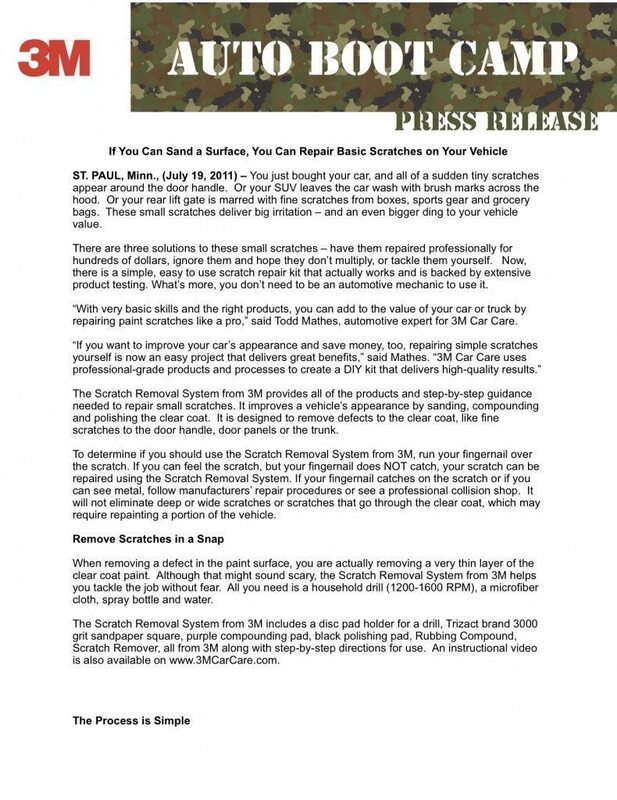 Down load step-by-step instructions – Simple Scratch Repair PDR Report , which can be printed or view the instructions below.